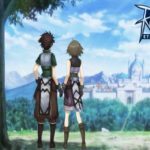 South Korean publisher Webzen and Chinese developer Tianma have partnered up once more to give the world a lot more MU. 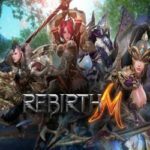 Building on the success of the 2016 mobile mmorpg MU Origin, they’re now gearing up to release MU Origin 2 worldwide — that’s good news to fans of the franchise. 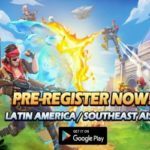 Although the full game is available to players across Asia already, the wider world will have to wait a little longer. First, a closed beta test will take place from 29 March to 7 April, 2019 — but it won’t be open to everybody. If you’re an Android user in North America or South America, you’re eligible to jump right in. Players in Europe and those with iOS devices will have to wait for the official release, but that should mean your first experience of MU Origin 2 is a more polished one. Among the priveleged few to be able to join the closed beta test? Then you can expect plenty more of the fantasy fun MU Origin delivered up — most of the contents from the final version is included. You can select from three different character classes: Dark Knight, Elf and Dark Wizard (you can be sure there will be others once the game has officially launched). Once you’ve chosen your preferred character, you can begin exploring the MU continent, making friend and foe as you go. There’s a fully functioning guild system, and you can engage in co-op dungeon crawls as well as player-versus-player tournaments. Once 2 April comes around, the beta test will shut down and all character data will be wiped before the official release — but that doesn’t mean all your grinding was for nothing. Get your character up to level 150 and complete the survey for Webzen, and you’ll walk away with an exclusive title to use in the official release. Plus, the official Facebook events offer more opportunities to win coupons to use after the beta test closes. So whilst you shouldn’t get too attached to your character, there are still plenty of reasons to play and play often. 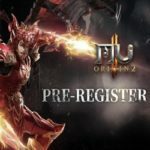 If you use Android and you’re in South America or North America, why not get a hands-on sneak-peek of MU Origin 2 by joining the closed beta test? Download it from Google Play now.